What ever happened to Nikki Gogan from Richie's season of The Bachelor? 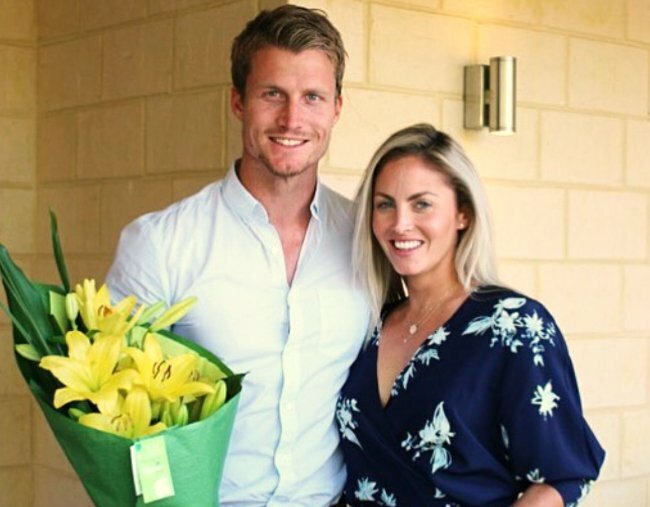 We're still not over Richie Strahan dumping Nikki Gogan. Here's what she's up to now. Nick Cummins’ Bachelor season finale isn’t the only one that left us a little bit salty. In 2016, we found ourselves similarly screaming at the telly when Richie Strahan sent Nikki Gogan packing, telling her he was in love with another woman. That woman of course being Alex Nation, with whom he split from shortly after. A favourite from the start, our hearts collectively broke when Nikki left our screens. Not just because she hadn’t found love, but because we as viewers genuinely loved her and we weren’t ready to say goodbye. Remember the first time they met? Eurgh, it still hurts. Post continues after. So confident we were that she would be the chosen one, her name even became a verb for a brief moment amongst Bach tragics. To get ‘Nikki Goganed’ one must be led to believe they are about to be chosen by the man/woman of their dreams, only for him/her to have a last-second change of heart and pick someone else. Following the controversial finale, Nikki admitted at the time she still wasn’t over the shock decision in an interview with Who magazine. She described the painful experience of watching the finale with her sister, Dani. “I had all the emotions. The tears were flowing. I can laugh about it as well, but it’s still raw,” she said at the time. Honestly how could you, Richie? Image: Channel 10. ... Awks considering the state of the pair now, but a classy response to break-up if we&apos;ve ever heard one. Years later, as we watch Richie and Alex searching for love in Bachelor in Paradise, we can&apos;t help but wonder what Nikki has been up to. And having never returned to the Bach franchise since Richie&apos;s season - despite being offered a season as the Bachelorette and turning it down - it looks as though getting &apos;Nikki Goganed&apos; might have actually worked in her favour. She didn&apos;t even need Osher&apos;s help to find love. 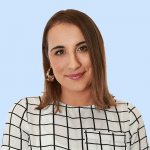 The 31-year-old Perth real estate agent proved Richie is nothing but a distant memory on Wednesday when she shared a photo with boyfriend Bill Coe to Instagram, posted at the same time as Bachelor In Paradise - and Richie&apos;s uncomfortable conversation with ex Alex - hit screens. "So grateful for everything that led me to you," she captioned the selfie. So grateful for everything that lead me to you ???? Nikki and Bill met at a Perth bar in March 2018, and the 31-year-old introduced her new bloke to her Instagram followers in June of the same year. “Believe me when I say that I am the luckiest girl in the entire world. I am surrounded and loved by the most incredible people and I am so so grateful,” she shared with fans. “This has been the best birthday ever and this man is a major part of that #taken," she added, sending fans into a frenzy. Happy Birthday to meeee ???? I’ve had the best day (following the best weekend at #crownmetropolperth). Believe me when I say that I am the luckiest girl in the entire world. I am surrounded and loved by the most incredible people and I am so so grateful (I haven’t had the opportunity to respond to you all yet but I will!). This has been the best Birthday ever and this man is a major part of that #taken ???? The pair moved in together in late August that year, with Nikki telling NW she&apos;s over the moon with her new relationship. "He&apos;s my dream guy," she said. "I&apos;m very happy." While rumours swirled last year that the two were engaged, they&apos;re yet to announce a wedding is on the cards.